Finally after such a long time, I was able to do a major shopping spree. It’s been awhile since I last updated my makeup and skincare collection of something new. Last week, after our annual Sports Fest at work, I decided to go to SM Mall of Asia and do some shopping. The extra money I have for my retro pay (just Google retro pay for definition) was spent willingly to purchase some of wants and essentials. 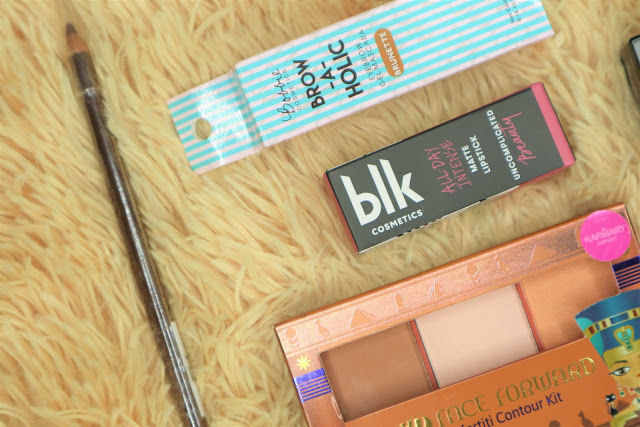 So today I’m excited to share to you what I bought recently and the reason why I’m excited to try and test each! BLK Cosmetics is the newest local makeup brand that’s creating so much attention in social media. Well, the brand is founded and endorsed by none other than Anne Curtis herself. BLK stands for Black which signifies two things – timeless and on-trend. Although the brand released an almost complete makeup line with foundation, blush-highlight-contour palette, brow product, liquid liner and lipsticks, I decided to purchase only one matte lipstick. Anne is known with her Angelina Jolie lips so I have my full trust that a lipstick will best represent the entire BLK Cosmetics. Also I have seen and read mixed reviews about the other products in the line which made me step back a little. Not to mention the price range of each product 199php – 399php. A lot of people buy Classy and Simple from the matte lipstick so I chose BLK Cosmetics Matte Lipstick in Elegant instead. What struck me the most is how creamy the lipstick is when swatched and applied! Even creamier than the Pinkies Collection Matte Lipstick in Bark which is on top of my mind when it comes to consistency and texture. Something I notice though is the slight difference of the color in the packaging to the product and to the application. If you notice in the packaging it looks mauve but when you look at the inside the lipstick will resemble Ever Bilena Matte in Dusky Rose. Then I got surprised when it looked way brighter as it sets on my lips. There are a lot of reviews already about BLK Cosmetics so I will not do a separate post for this one. But you can check and follow me on Instagram where I’ll post a micro-review with swatches soon. Where to buy BLK Cosmetics? If you want to try and to test each item I suggest going to SM MOA Watsons have a physical kiosk/store. For convenience and those who are in provincial areas you can buy BLK Cosmetics in Zalora PH. You may also visit www.blkcosmetics.com.ph for more information. Bobbie Cosmetics proved to me once again that they are game changer when it comes to local makeup brands. When they released a 225php blush, highlight and contour palette I thought that was it, may nanalo na kumbaga! But lo’ and behold they even have a brow mascara that’s not only affordable but also does the job really well! Bobbie Cosmetics Brow-a-Holic Eyebrow Mascara is a must try product if I may say. It is available in two shades Blonde and Brunette and comes in a cute packaging as well. I’ve been using this to tame my brows and it is soooo good. At first I got scared that the wand is too big for my brow area but it didn’t give me a hard time in applying. The Brunette looks too light in the beginning but once it’s dry it would match your desired brow color. This Bobbie Cosmetics Brow-a-Holic Eyebrow Mascara and Paintbox Brow Mascara are definitely two of my favorite discovery when it comes to brow products. Love it! This is not new to me as I’ve previous used (and abused) this eyebrow product sometime in 2014. If you are looking for a brow pencil that can easily create beautiful strokes and have the spooly on the other side ready then this is for you! The Pinkie’s Collection Eyebrow Pencil is something I adored way back because the pencil itself gives precise outline. The spooly it comes with is good too considering how cheap the price is. 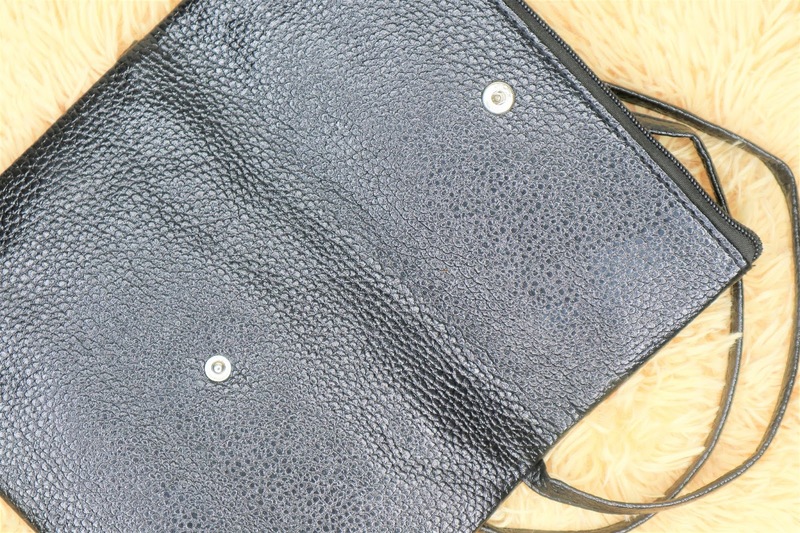 This is perfect to bring for girls on the go or when traveling! Thank God, there’s Maybelline. This brand is such an answered prayer for those who, like me, is in constant hunt for the perfect foundation for oily skin! 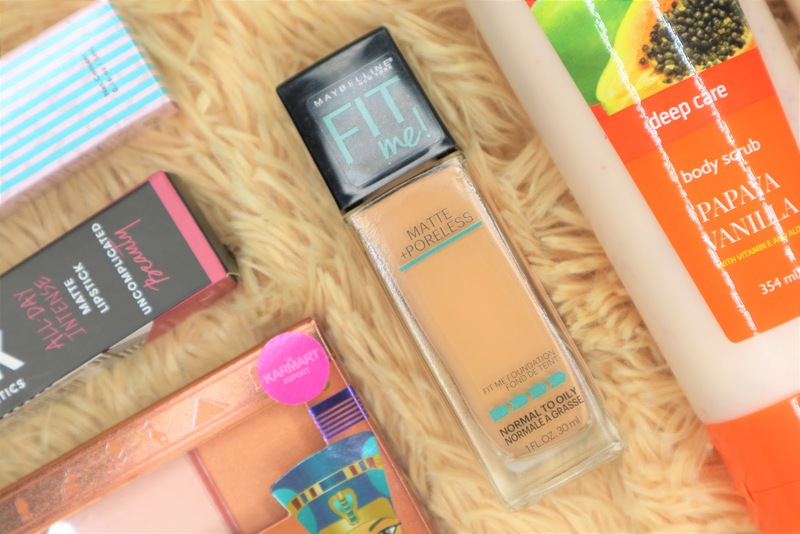 Maybelline Matte + Poreless Fit Me Foundation already received countless praise from other bloggers and vloggers but I waited until I had enough extra money to buy a new foundation. The last “real” foundation I bought was the Maybelline Dream Satin Foundation in December 2016. It served me well along with San San HD LiquidFoundation so I didn’t see the need to buy a new foundation anytime soon. I was about to get Maybelline Matte + Poreless Fit Me Foundation in Rich Tan because it has the yellow undertone. Thankfully, the lady who assisted me insist that Natural Buff is a more fitting shared for me. I have yet to use the product full on my face but basing on the swatches and quick try-ons I did, it does have the best coverage and light weight feel among all of the foundations I tried. It even reminds me of Estee Lauder Double Wear Liquid Foundation which I tried before from a workmate of mine. The Cathy Doll 3D Face Forward Nefertiti is a blush, highlight and contour trio named after Nefertiti, an Egyptian queen and the Great Royal Wife of Akhenaten, an Egyptian Pharaoh. Just like any other Korean product, the packaging of Cathy Doll caught my attention. It comes with a pretty Egyptian-inspired look and feel. Although there are already a ton of review and feature about this Cathy Doll 3D Face Forward Nefertiti Contour Kit I am still planning to do a separate post for this soon. 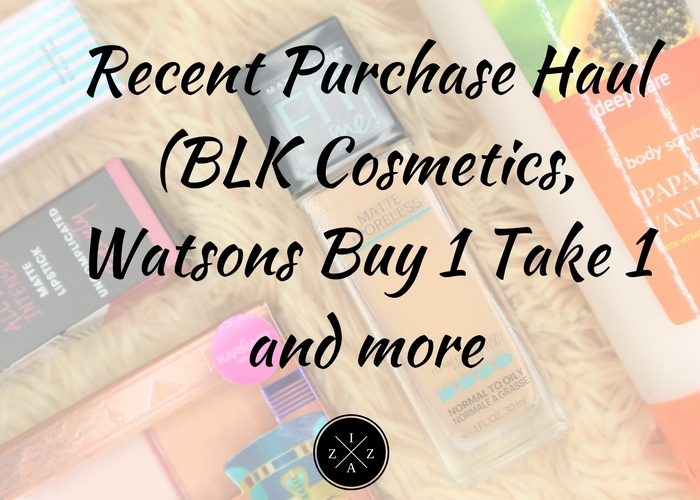 Watsons is currently holding a buy 1, take 1 promo for all Glamworks product which includes body scrubs, body wash, hair masks, shampoo and hand wash. I can’t miss this opportunity so I bought a body scrub. 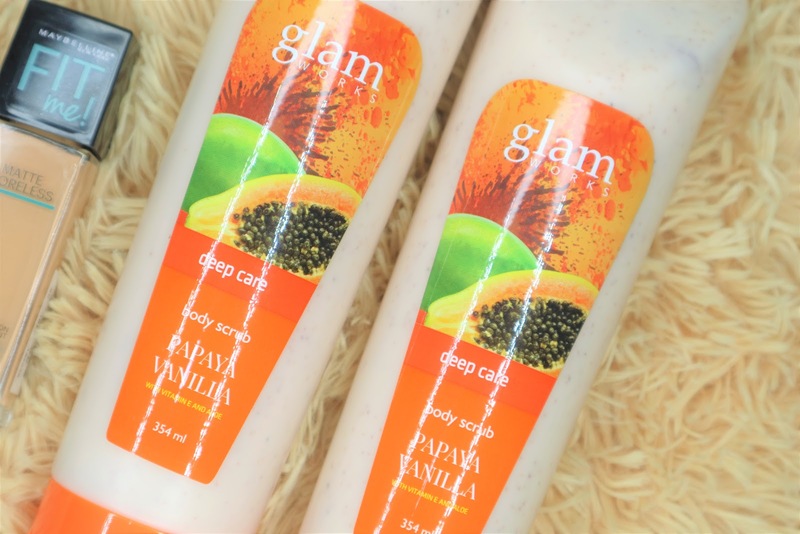 Glamworks Deep Care Body Scrub in Papaya Vanilla is available exclusively at Watsons nationwide. If your body is needing some extra tender loving care then make sure to stop by Watsons and avail this great buy 1, take 1 deal. This Papaya Vanilla variant in particular smells sooooo nice. The total money I spent shopping was above the P 1400 peso limit to receive a free sling bag at Watsons. I choose to time my shopping when there is a good freebie from Watsons. 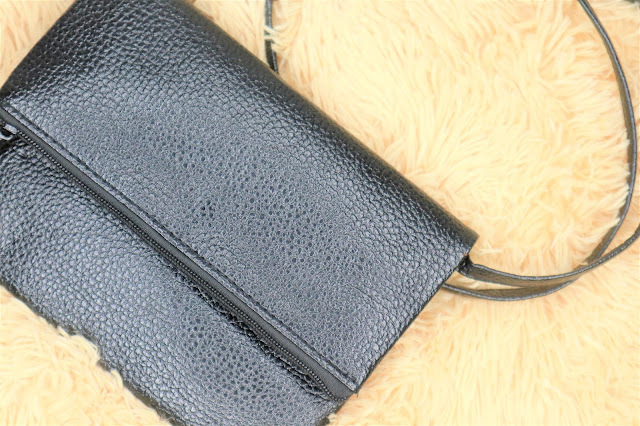 The sling bag is just the perfect size for quick errands to the mall. Love it! Best freebie ever from Watsons!!! They say there’s something about shopping that relieves stress and true enough I feel happy and thankful right after. I even bought two new easy reads for the weekend – Unnie, You’re So Pretty by Summit Media and 21-Day Financial Fast by Michelle Singletary.